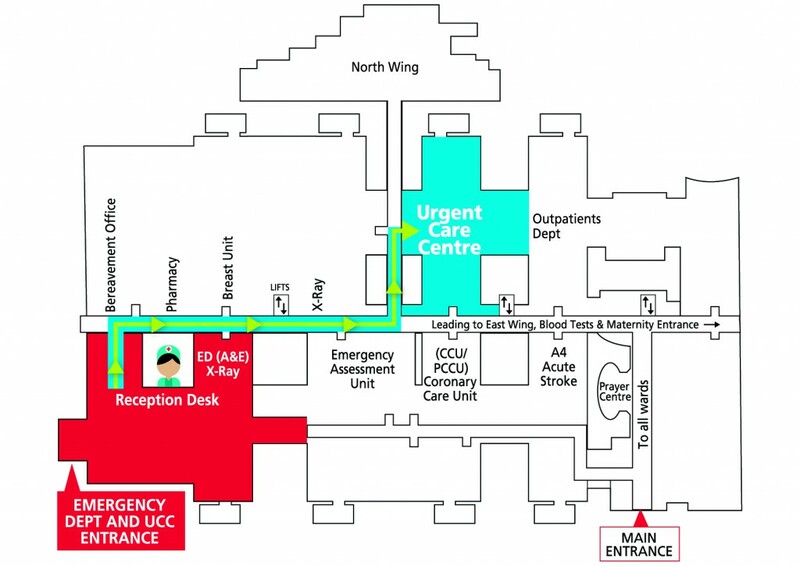 The Urgent Care Centre is accessed via the Emergency Department. On arrival, one of our streaming nurses will ask you for your name and reason for attending. The nurse will then decide where the best place is for you to be treated, either in the Urgent Care Centre or the Emergency Department. You cannot access the Urgent Care Centre via any other route.